Yes, we confess to using a strange title for this post. A fact check on Colin Kaeperick's shirt? We followed the link. We did find a rating of Kaepernick's misattribution of a quotation to Winston Churchill. But there was nothing about his shirt. The linked page was titled "All Sports statements." 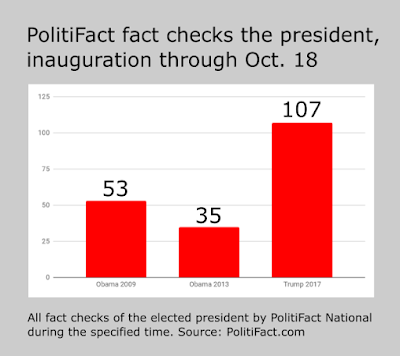 But we remembered seeing a fact check related to a sports figure that wasn't on that page. It was a fact check of a Photoshop that changed the text on Lebron James' shirt. So ... Lebron James is Colin Kaepernick? We wonder how PolitiFact handles Facebook corrections transparently. Today, with a fresh executive order from President Donald Trump ending subsidies insurance companies had received from the Obama and Trump administrations, PolitiFact recycled a PolitiSplainer it published on July 31, 2017. We have no problem with the bulk of the story*, except for one glaring omission. PolitiFact writer John Kruzel somehow left out the fact that a court ruling found the payments to insurance companies were not authorized by the Affordable Care Act. The Court suspended its injunction to leave time for an appeal, but time ran out on the Obama administration and now any such appeal is up to the Trump administration. Anyone want to hold their breath waiting for that to happen? President Donald Trump warned lawmakers he would cut off billions in federal funding that insurance companies receive through Obamacare if Congress fails to pass new health care legislation. If the ACA legislation does not authorize the spending the insurance companies received, then the insurance companies do not receive their funding "through Obamacare." How does a "nonpartisan" fact checker miss out on a key fact that is relatively common knowledge? And go beyond even that to misstate the fact of the matter? 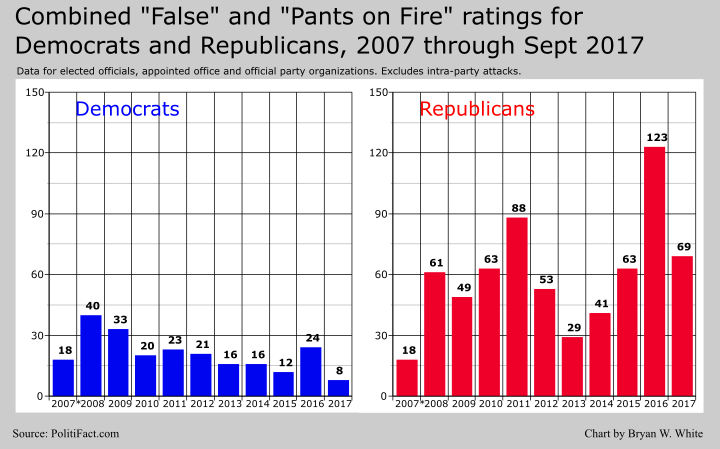 Maybe PolitiFact is a liberal bubble?